MAXON is the team behind Cinema 4D, one of the 3D industry’s most trusted tools for modeling and motion graphics design. Today, they announced that they’ve released an entirely new way to design and work with 3D content: Cineware for Illustrator. Their powerful new plugin allows designers to import any C4D project and tweak the camera, lights, textures and objects themselves directly within Adobe Illustrator CC. 2D artists unfamiliar with 3D can interact with the models and make these adjustments directly from within Illustrator. Here at TurboSquid, we’re big believers in projects that help grow the overall market for 3D and get even more people to experience the joys of designing with 3D. Cineware for Illustrator is exactly that type of project, so we’ve partnered with MAXON to help their users get started as quickly as possible. While we have over 100,000 paid and free Cinema 4D models available, we wanted to give Illustrator users that were new to 3D a seamless experience with the new plugin. Together with MAXON, we’ve curated a selection of several free and premium 3D models that are perfect to use when test driving Cineware for Illustrator. We chose some product packaging models that we think designers will love and we have both individual models and bundled collections available for download. We’re excited about the opportunity to work with MAXON to bring a whole new wave of designers into the world of 3D! 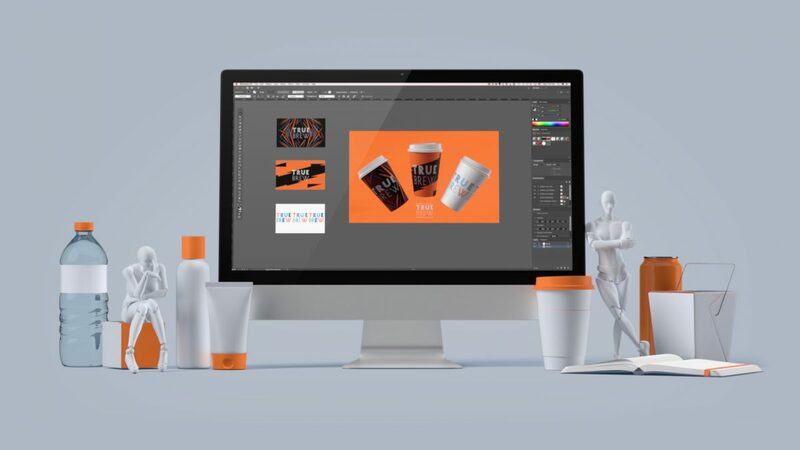 MAXON has made Cineware for Illustrator free for a limited time, so download it today or tell your fellow graphic designers they’ve got the chance to start using 3D for themselves. TurboSquid will also be out at Adobe MAX next week to help support MAXON’s launch. If you’re at the show, you can find us at the MAXON booth. Stop by and say hi! How can I create and upload 3D models to Turbosquid which will be available for Adobe Illustrator and in Adobe Stock? Do I need to upload it in a specific format? We are working with Maxon to determine the best way to provide models to the market. We will obviously need to include more TurboSquid artists to make this happen, but we’re still figuring out which methods are best. However, this shouldn’t discourage you from starting to make content! We’re also working with Maxon and doing our own experimentation and testing to determine which workflow is best for getting content into Cineware for Illustrator. What we know so far is that at a minimum, you’ll need clean Cinema 4D model with a simple light rig. 1. The Cineware plug-in is free, so experiment to see what it can and can’t do. 2. Keep your objects as standard as possible. Collapsing your models to mostly mesh seems to be ideal as there may be modifiers, features, or tools that may not carry over through Cineware. 3. Ideally, you should provide a render scene/stage, render settings, lighting, composition tags (for object buffer), and the object centered in the camera view. At minimum, you’ll need lighting as it is necessary to render in Cineware. As we figure out solutions, we will continue to share with artists so that we can build up a catalog. In the meantime, our support team has more detailed information about what we’ve learned about creating compatible content. Just open a support ticket, and they’ll be happy to share.